Unless you’ve lived under a rock, you’ve heard of Moviepass. Moviepass has been around for awhile, but they made headlines last year when they dropped the price of their subscription from $49.99 to month to only $9.99 per month for essentially unlimited movies. The result? In a matter of months Moviepass grew to over 2 million monthly subscribers and a rumored churn rate of less than 2%, which is absolutely insane for a B2C subscription product. Backed with sweet, delicious venture capital, the company is burning through cash as their subscribers see movies and proselytize their product to their friends and family — who sign up and see more movies. How do they plan on making money? What’s their strategy for long term profitability? When evaluating a product or company, I always like to ask “What’s their unfair advantage?”. One of their unfair advantages has been their willingness to burn capital and build and something that many consumers have wanted but incumbent companies have been unwilling to lose money on. By operating unprofitably, they’re buying the early adopters and generating accounts with passionate moviegoers. Slice Capital has a great post on this here. By owning the account and consumer interface (via their app), they have what incumbents have dreamed of for years: a direct relationship with moviegoers. Movie studios and publishing houses have always relied on distributers to communicate with the consumer. Moviepass is building the direct relationship AND they’re fulfilling demand for the content. They have email addresses and control accounts. They have behavioral data and viewing habits. They have opportunities for promoting content and specific movies within their app — applying the concept of “coop dollars” from the print publishing world and applying it in their context. Regal, AMC, and others have tried to get at this for years using their loyalty card equivalents. Moviepass is doing this at a scale that incumbents can’t match. Every major theater chain is developing some kind of “unlimited” pass to compete with Moviepass. There’s been a ton of consolidation in the last couple of decades in the theater space. Mom and pop chains have been bought out by behemoths like AMC and Regal. 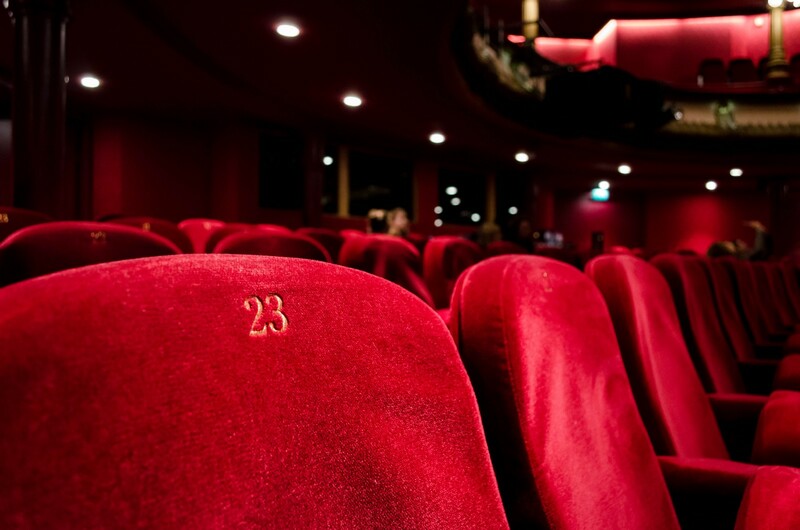 These incumbents control the majority of theaters in America. The advantage that Moviepass has over these potential competing passes is that their customers can use their product at any chain they want. Moviepass has a platform advantage, matching supply with demand at a predictable price. Moviepass can rise above the competition between those major players, and provide their users with a consistant experience across any chain. Another quick caveat: Moviepass seems to be really good for local, independent theater chains. I recently asked my local indie theater what percentage of their customers use Moviepass. Their answer? Over 50%. There’s no way that Regal or AMC will partner with indie chains in that way. This one is a little dirty, but excluding movies or studios that won’t pay up. They have already started doing this. Lastly, I want to talk about building moats. A “moat” is just another word for “competitive advantage” or special defense. Matt Heiman at Greylock Partners has a great post on building moats . Go read that for a great primer on moats and how they work in different verticles. There’s one moat that Moviepass is digging real deep right now. They’re increasing the switching cost of moving to a competing service. New users to the service are now limited to only 4 movies per month for $9.99. I think this is in response to multiple competitors and incumbents building similar services in response to Moviepass’ success. After spending the last year building a massive subscriber base of passionate moviegoers and early adopters, they’re taking some pretty heavy handed steps to retain them. As a product person, I love watching this company and I’m curious how it will play out over the next 6 months. Moviepass continues to scope down the value they deliver to passholders, like restricting the number of movies or at what times you can see a film. Moviepass will extract more dollars from studios and theater chains through the methods articulated above. They’ll continue to offer outsized value, subsidized by their new cash flow. Moviepass will be acquired. Possibly by a large content conglomerate like Disney, or a group of movie studios in a joint venture. This is a super long shot but I could see Facebook or Google making a play — utilizing the viewing data and integrating with their consumer social products. What do you think? Where will Moviepass be in a year from now? If you found this essay interesting, could you give me a 👏? It keeps me motivated to keep writing and thinking about this stuff! You can also learn more about me at danieldibartolo.com or on LinkedIn. Obsessively curious. Product Manager building apps on the web, iOS, and Android. I stop to read all the interpretive signs.